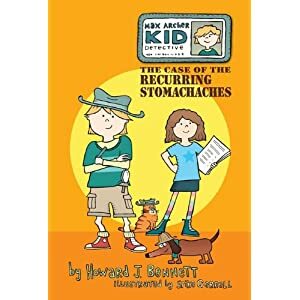 The Case of the Recurring Stomachaches « Howard J. Bennett - Pediatrician and Author in Washington, D.C.
Emily has stomachaches. Lots of them! With Max’s help, Emily investigates the top three causes of stomachaches: lactose intolerance, constipation, and stress. With a mix of facts and humor, Max puts Emily on the right track towards feeling better. Extra fun activities and a Q&A section written for parents is at the end of the book.